ARBI Pancakes for Stampede have Calgarians saying Yeehaw! 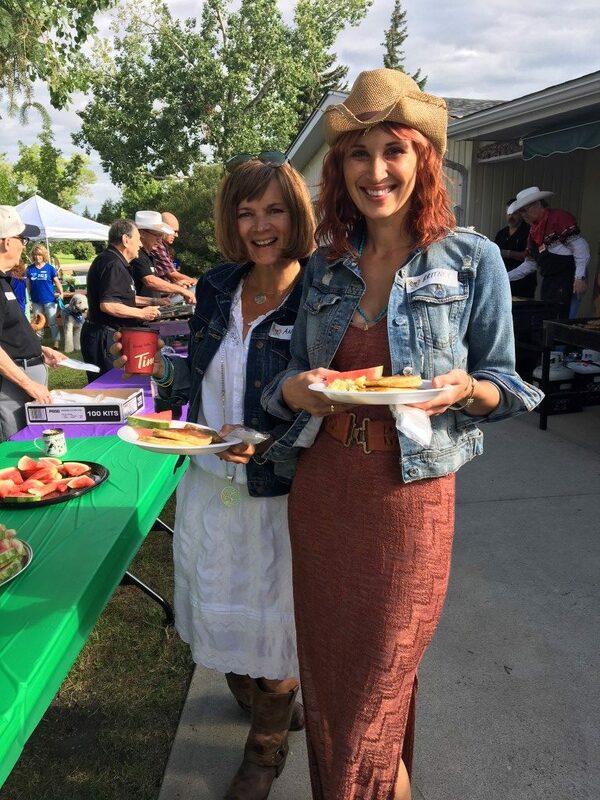 A crowd of hungry Calgarians clad in cowboy boots, hats and plaid created a successful 40th-annual Stampede breakfast for ARBI. A sunny Wednesday morning drew a happy crowd of about 400 people to ARBI (Association for the Rehabilitation of the Brain Injured) in Calgary during Stampede for food and country music. Classic LifeCare proudly sponsored the event and Britney Didier-Shaw, Regional Director – Alberta, and Andrea Warren, Executive Leader, of Classic had the tough job of attending and enjoying breakfast.